This is the view at Cavallo Point, which always makes me think of that movie I loved when I was a teenager « An Officer and a Gentleman » (no comment;). 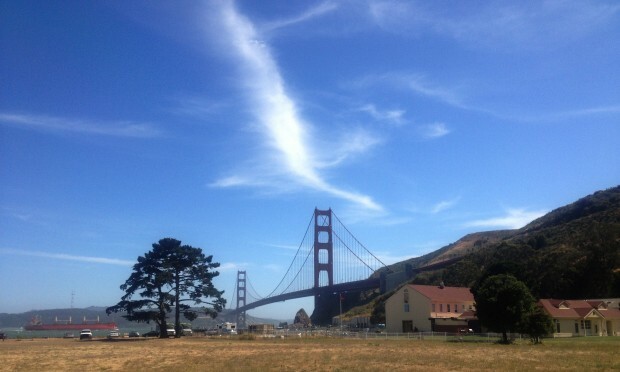 The place is also called Fort Baker and that was a military base built before World War II. Today, it’s a hotel, spa, gastronomic restaurant that is called Cavallo Point Lodge and that is one of the most visited spots around the Bay area. I love biking around there mostly because of the view and that almost overwhelming feeling of joy I get when I ride along incredibly gigantic trees all the way.